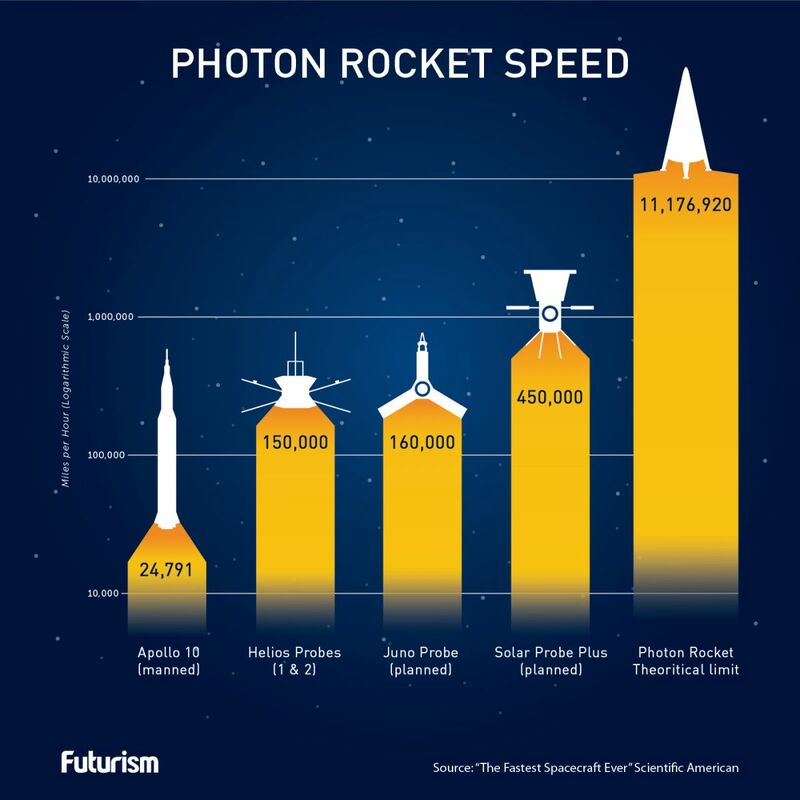 Photon rockets may not be a reality today, but they could be. Theoretical physics often lifts the sanctions we set on our own imaginations. Whether it’s exploring the possibility of warp drives or understanding the rate of the universe’s expansion, we are quick to explore the unknown on our chalkboards until our tech is ready for our ideas. In a similar deep-dive into the theoretical, a Norwegian professor argues in the journal Acta Astronautica for the of possibility of photon rockets that can reach 99.999 percent of the speed of light (300,000 km/s [186,000 mph]); asserting that, while humanity can’t do it anytime soon, we could potentially build a spacecraft that falls just short of the ultimate speed limit sometime in the future when the necessary technology is feasible. Espen Gaarder Haug is a professor of quantitative finance at the Norwegian University School of Life Sciences who believes that the math in contemporary physics isn’t too distant from the math in quantitative finance. This background gave Haug an unconventional perspective for his predictions on photon rockets. Haug’s paper outlines the mathematics involved in developing a rocket that could take us to speeds just shy of light speed by taking cues from projects that utilize photons as driving mechanisms. Such a photon rocket could make the idea of deep space travel far more attainable, and could open up the universe to the human race. However, Haug makes it clear that we have a long way to go before we can develop photon rockets that can send materials or people into outer space. While the promise of using any fuel as long as it can be converted entirely into light Energy is exciting, we would need a particle accelerator magnitudes stronger than Europe’s Large Hadron Collider. This means that our dreams of traveling to Mars in less than 5 minutes might need to be put on hold until we have a few major breakthroughs in particle physics.